SACRAMENTO, CALIFORNIA (January 28, 2017) - The 2017 schedule for the Pacific Challenge Series presented by PenneyLawyers.com continues to be announced, with races at Roseville's All American Speedway on tap. The series plans to visit the one-third mile asphalt oval for three appearances on April 15th, June 24th, and October 14th. All American Speedway joins Stockton 99 Speedway and Madera Speedway as confirmed tracks for the upcoming season of Super Late Model racing. 2009 track champion Jason Romero of Cameron Park, CA swept all four 2016 PCS races at his home track and will look to make a big impression again this year. April 15th's event has become a traditional event for the PCS and will serve as the second round of the 2017 season. June 24th will be the second date for the series in Roseville during the Placer County Fair and joined by the North State Modified Series. The fair race is one of the most well-attended and has also become a very traditional event for both the PCS and North State competition. After two years of non-points status, the season-ending October 14th race will again be a championship points race. A champion will be crowned at the conclusion of the event that serves as the undercard for the NASCAR K&N Pro Series, West. The 2017 season finale will for the first time have the North State Modifieds on the program as well for a major motorsports event for the area. The Pacific Challenge Series honored its top-ten drivers in the 2016 standings in last Saturday's awards banquet. In addition to crowning champion Jeremy Doss and Rookie of the Year Matt Wendt, special awards were claimed by Mike David (Crew Chief of the Year), Danny Malfatti (Sportsman of the Year), Tracy Bolin (Hard Charger of the Year), and Mike Beeler (Iron Man Award). The Lucas Oil Modified Racing Series, presented by Loan Mart, will once again be featured on national television when MAV TV presents two of the series' races from the 2016 season. MAV TV is the Lucas Oil owned, and created, network that specializes in motorsports programming with many of its shows produced by the award winning Lucas Oil Production Studios. The first of the series' television specials was generated from the Las Vegas Motor Speedway's Bullring back on November 19th.. The Lucas Oil Modifieds literally shines on the Bullring's three-eighths of a mile high banked oval while treating their fans to very fast, side by side, action. Series regular Ryan Patridge can vouch for the high speed nature of this track. He set a new track record there last year after turning in a hot lap of 14.935 seconds - 90.042 MPH. MAV TV broadcast times, for the Las Vegas event, are: Friday - January 27th - 1am eastern time and Thursday - January 26th - 10pm pacific time. At the end of the month MAV TV will be presenting the Lucas Oil Modified Racing Series' event from the Rocky Mountain Raceway, the quarter mile paved oval located in West Valley, Utah. The Great Salt 75 was video taped by Lucas Oil Productions back on July of last year and, in typical fashion for this racing series, was very exciting. MAV TV broadcast time for this race are: Tuesday - January 31st - 3pm eastern time and 12pm pacific time. Also of interest to the western state's area late model fans will be the Loan Mart Late Models' October 8th event held at the Loan Mart Madera Speedway, on the fastest one-third mile in the west, located in Madera, California. The event was round eight of the Late Model's Short Track Shoot Out. This event paid $10,000 to the winner which attracted the top late model drivers from all over the western United States. Broadcast times for this short track excitement are: Thursday - January 26th - 8pm eastern time and 5pm pacific time. A replay of the race, also on January 26th, will be aired at 11pm eastern time and 8pm pacific time. Tell your family, friends and especially your sponsors that your racing team is going to be on national television courtesy of MAV TV. Madera, California (January 17, 2017) - LUCAS OIL has been a long running sponsor of the Madera Speedway and the rebuilding efforts of the race program. LUCAS OIL is back onboard for 2017 as a major player with a track sponsorship and the LUCAS OIL Horsepower Nationals sponsorship on June 10th with television support. The 2017 Madera Speedway season kicks off on March 11th and this is race number one in the BIG THREE Speedfest Series paying $5,000.00 to win for the first two races and $10,000.00 to win for the final race for the Late Model Series. "We are excited to have LUCAS OIL back onboard for the 2017 Madera Speedway program at such a high level, and our fans and drivers greatly appreciate their support that will allow us to expand our race programs, and our MAVTV program. Personally, this is one of my favorite relationships in the sport, they are a big company but they act like a small family run business, LUCAS OIL is a true American success story and we are proud to have the relationship we have with them" Kenny Shepherd. The Lucas success story has been built upon hard work, an unparalleled line of premium products and an unwavering commitment to customer satisfaction. This single formula for success will continue to guide Lucas Oil Products as it grows in the years to come. To learn more about LUCAS OIL, please visit www.lucasoil.com. Ask for LUCAS OIL products when you are at the parts store and please support the brands that support your racing, hit the LUCAS OIL website and checkout their products! The 2017 racing season kicks off in March at the Madera Speedway, there are a total of eighteen (18) scheduled nationally televised races from Madera in 2017. Watch for the next major sponsorship announcement coming out shortly from the Madera Speedway! 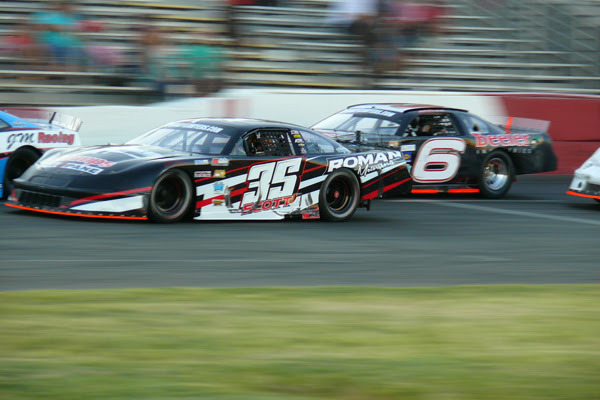 For information on how you can become a marketing partner of the Madera Speedway please contact Kenny Shepherd at 209- 769-9581 or kshepherd@racemadera.com. Please visit http://www.racemadera.com/schedule.html to see the exciting 2017 Madera Speedway racing schedule. Corona, California (January 19, 2017) - A 10-round battle for the championship, two lucrative special events and four dates combining the West Coast's top touring divisions are the highlights of the 2017 schedule for the Lucas Oil Modified Series.